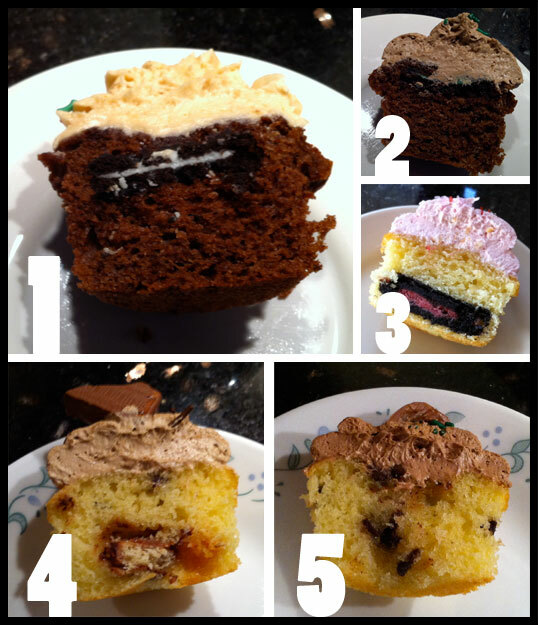 Even with all of our Starry Night reviews, there are still cupcakes that haven’t been seen by our followers! Around Oreo’s 100 year anniversary, Starry Night went crazy creating Oreo-stuffed cupcakes. 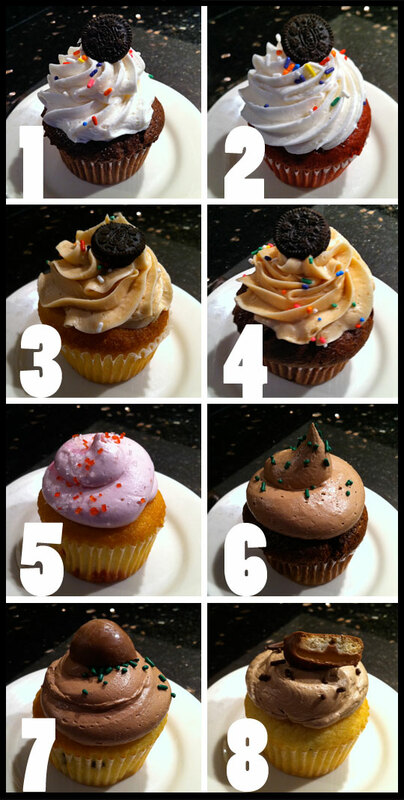 Being a cupcake lover AND an Oreo lover, how could I resist? I initially went in for what I thought would be a few cupcakes, and left with a dozen! Starry Night seems to always do this to me, but thankfully I have people to share with! While I was picking up my Oreo stuffed cupcakes, they also had a couple of candy themed cupcakes that made it into my dessert box. Starry Night’s chocolate ganache frosting is a perfect match for the peanut buttery goodness of the cupcake. This cupcake should be a permanent offering, it is THAT good! Starry Night’s Oreo and candy stuffed creations give you a great idea of the fun flavor combinations you will find in their bakery. 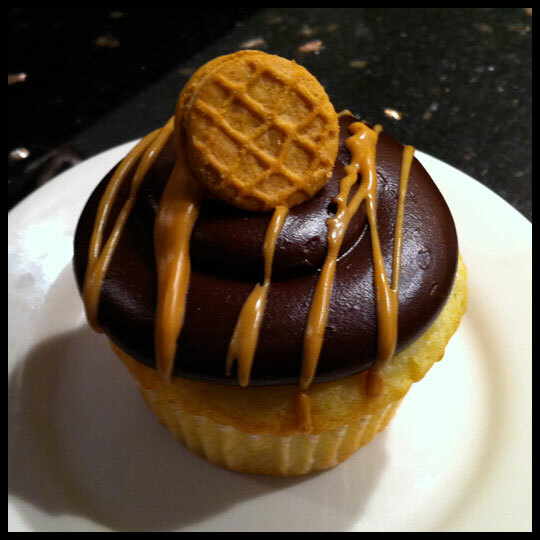 More recently they also added a Samoa cupcake to the menu, fashioned after the popular Girl Scout’s cookie! 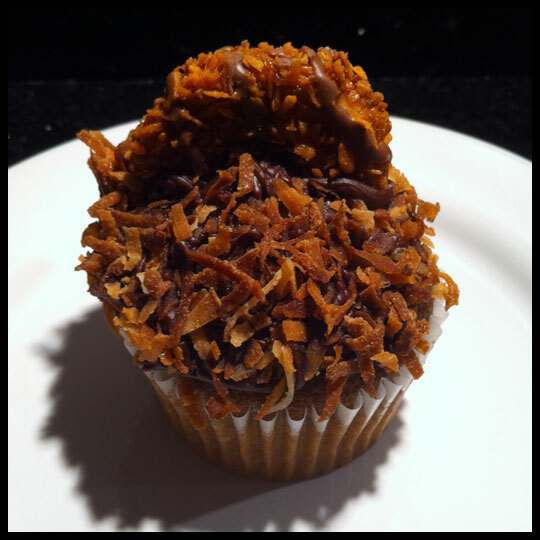 This cupcake has a caramel cake, frosted with chocolate ganache and topped with plenty of toasted coconut and half of a Samoa cookie! It’s the perfect execution of a Samoa in cupcake form. There have been a few other new additions to the spring cupcake collection at Starry Night, so they will be seeing the Crusaders again soon!